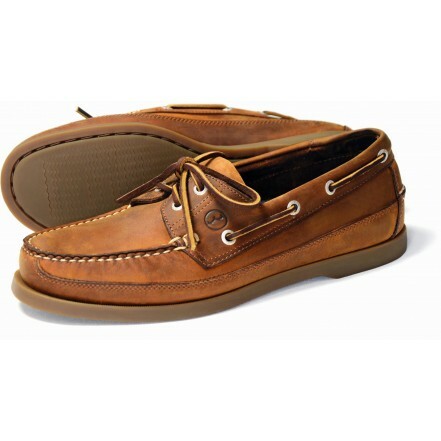 A classic deck shoe with a canoe cut. • Premium oiled nubuck and pull-up leathers. • Non-slip non-marking rubber sole. • Cushioned EVA heel cup.